Invigorate your teaching practice or literature programming by exploring imaginative approaches to engaging young readers and writers through visual storytelling. 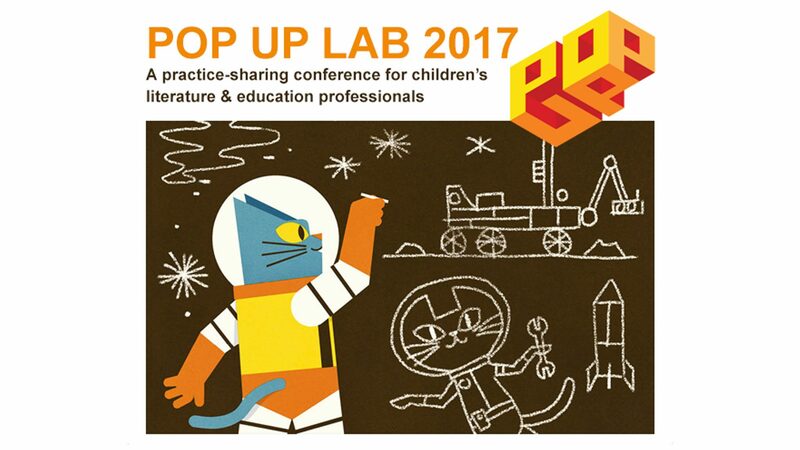 Pop Up Lab is cross-sector space in which to explore and experiment, share practice and learn new things. A keynote conversation will kickstart the day, and attendees will be able to choose up to two 75-minute sessions from a programme of hands-on workshops, demonstrations and conversations with 10 organisations and individuals. Many sessions are artist-led. Throughout the day facilitated discussions will help evolve a ‘manifesto’ to advance the cause of visual storytelling in schools and curriculums. Lab 2017 involves organisations in the Transbook project. Transbook is a European initiative to promote the digital transition and internationalisation of the children’s publishing industry. Transbook is co- nanced by the Creative Europe programme of the European Union and operated by seven European partners from the children’s publishing industry.